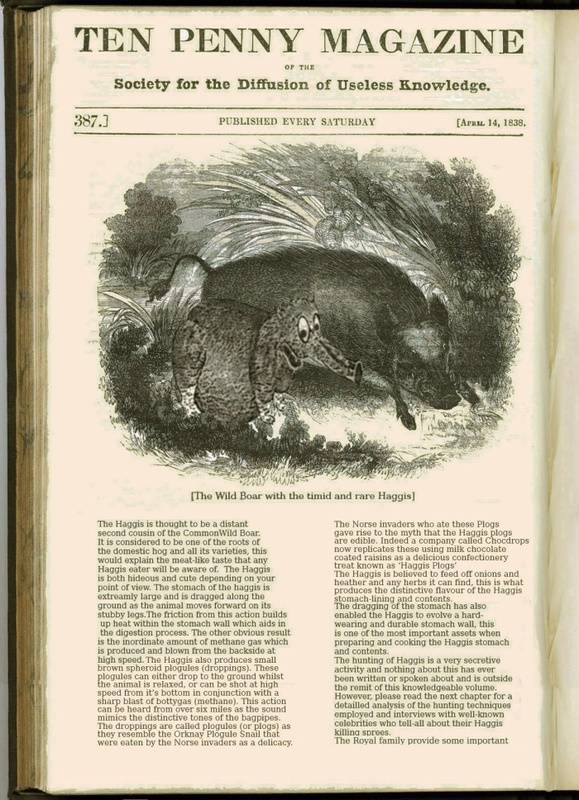 In 1838 the 'Ten Penny Magazine' printed a description of The Wild Boar, the Haggis and other varieties of similar species. It included important information about Haggis Plogs (plogules), or Haggis Droppings to the layperson. 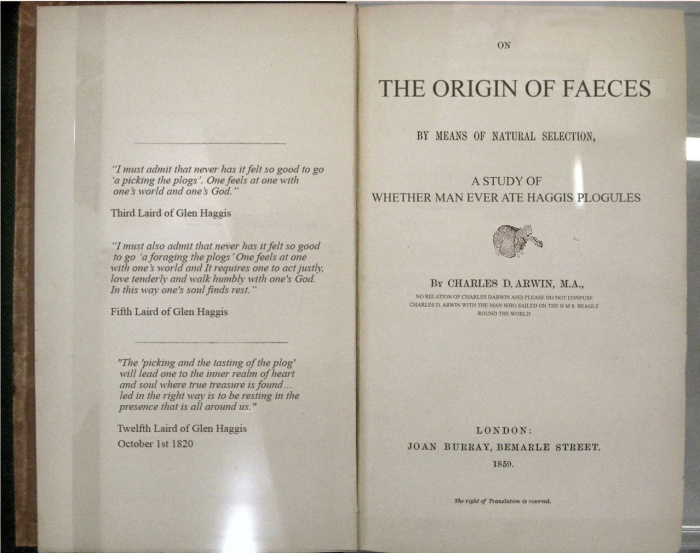 Twenty one years after the Ten Penny Magazine article Charles D. Arwin published his Origin of Faeces volume. This was to startle the world with amazing revelations and outrageous claims and theories regarding the rumours that humans may have eaten Haggis plogs in the olden days. Charles D. Arwin faced fierce criticism and has become a focus for ridicule following his detailed study of the plogules (droppings) of this animal. The volume has been read by many eminent scientists and scholars who all seem to be of the same opinion. The opinion they share is that most of the information detailed in Arwin’s ‘Origin of Faeces’ is completely unfathomable and very difficult to make any sense of or merge with any current or historical theories. “I am completely baffled!” said one eminent anthropologist. “A load of old Plogs!” said another. 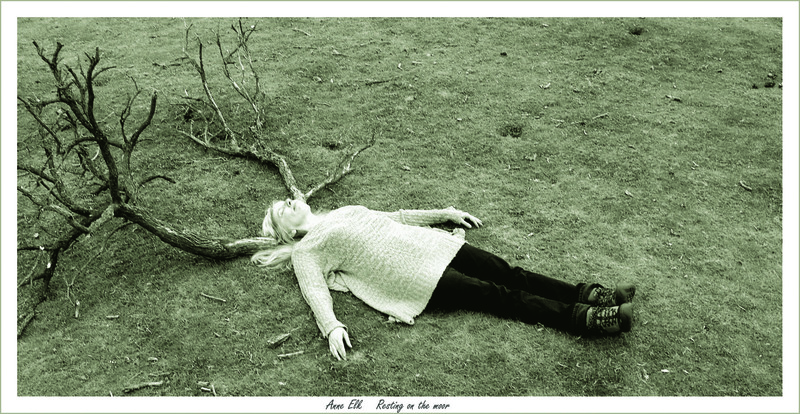 Perhaps catching a glimpse of the Haggis is rarer than seeing Anne Elk resting on the moors!